Product prices and availability are accurate as of 2019-04-15 14:11:57 EDT and are subject to change. Any price and availability information displayed on http://www.amazon.com/ at the time of purchase will apply to the purchase of this product. 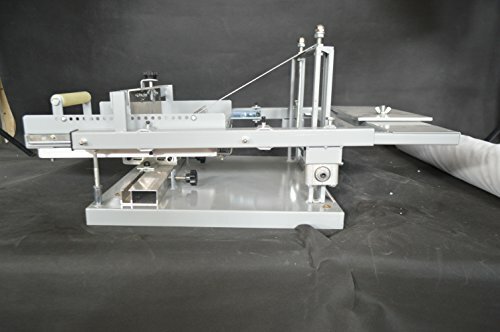 Manual cylinder screen printer is used to print on some item with curved surface, such as cup/ pen/ baseball bat/glass bottles and etc. 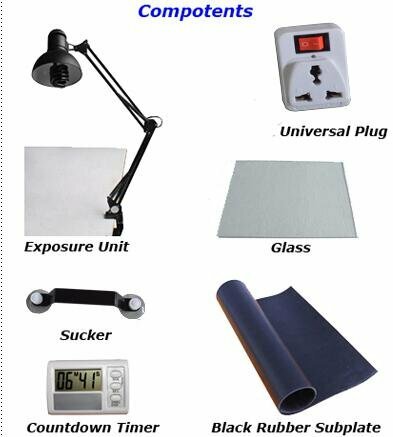 It is easy to assemble and operate. 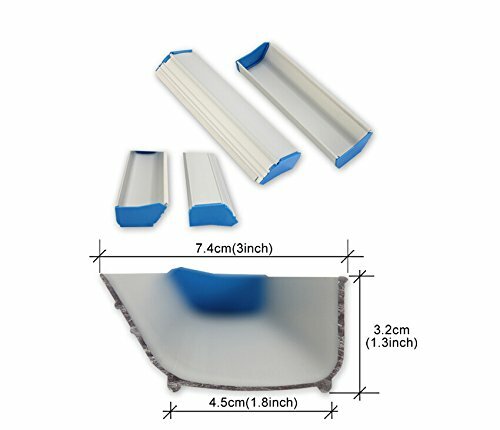 Holding rack can be adjusted according to the length of printing stock. Height of the screen frame also can be adjusted. 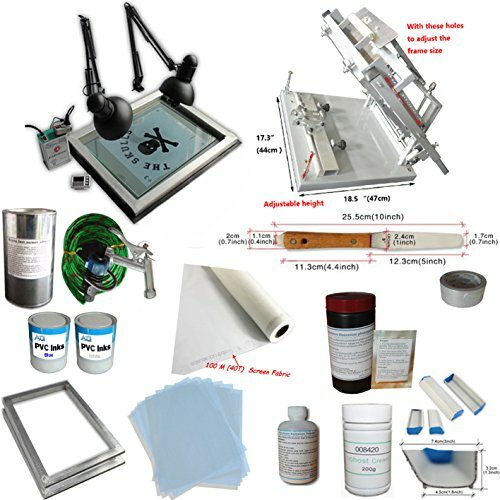 All metal design with rubber support pad, keep the printer is stable on the countertop . Max Printing Dia. 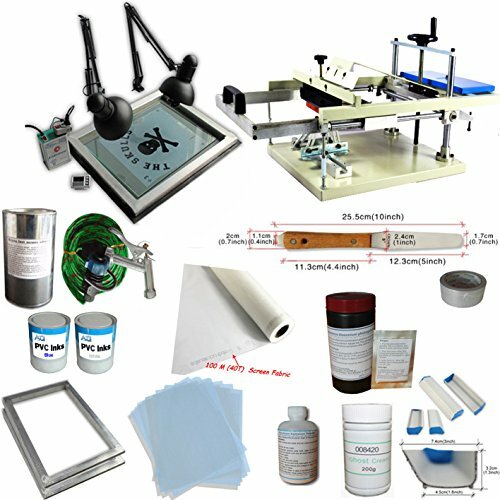 6.3 inch(?16 cm), Max.printing area:200*240mm, Max Frame Size: 12.5*14.5 inch This simple UV Exposure Unit Kit is especially designed for personal usage in screen printing; it is easy operated and with very low cost, which will also be the best choice for new hand to start screen printing business. 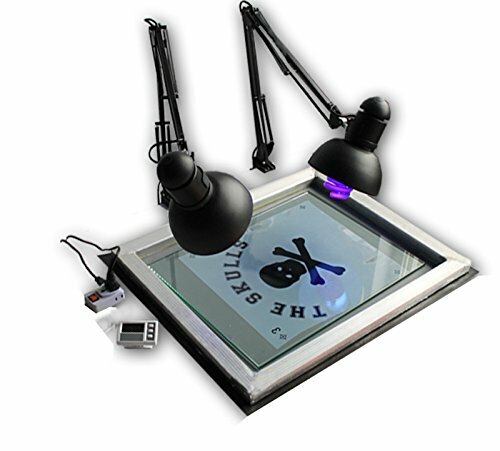 Exposure Area: 19.7"x23.7" (50x60cm) The exposure unit is exposed of two 26W UV tubes, which can be swivel adjusted while exposing.